Trim carrot ends. Slice each carrot lengthwise into ribbons with vegetable peeler or mandoline. 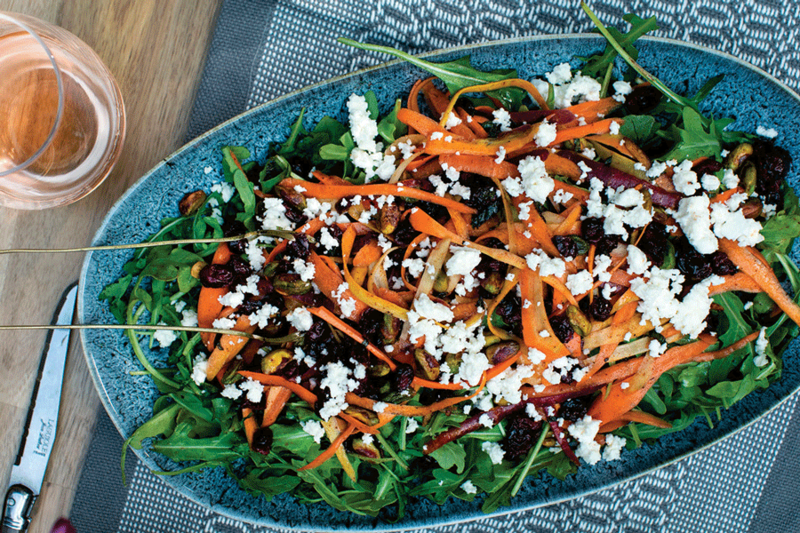 In medium bowl, toss carrots with ¼ cup prepared dressing. Stir in pistachios and cranberries.